Keeping your windscreen in good working order isn’t hard. Here are 4 tips from Fast Car Glass to help you keep your windscreen properly maintained to ensure you are safe on the road. Though your car was made to withstand outdoor temperatures, exposing your windscreen to excessive amounts of sunlight can reduce its lifespan dramatically. UV light negatively affects the tint in your windows and small chips in your glass can also be affected by high temperatures outside contrasting with cooler temperatures inside your car. Opt to park in shaded areas or in a parking structure when your car will be stationary for more than 20 minutes. Car glass is sensitive to strong vibrations, so when you slam your car doors, these violent vibrations can cause damage over time. It can cause the glass of your windscreen to come off the track and it can turn existing chips in your glass into long fractures. Closing your doors gently will prevent such damage and help your car glass stay strong for years to come. Small chips and cracks may not seem serious on the surface but when left unchecked, they can turn into costly problems. Not only do such imperfections stand in the way of a clear view of the road, but these small bits of damage also can turn into long lines of webbing across your windscreen. Most windscreen repair shops can come out to your location and repair such instances of minor damage in less than an hour. A lot of car owners use the wrong products on their windscreens without understanding the potential damage they can cause. Glass cleaners that contain ammonia are intended to be used on domestic glass, such as the windows or tables in your home. Car glass is made from a different type of glass and tempered in a different way. Always use a cleaner that is specifically formulated for automobile glass. Instead of using sponges or paper towels, it’s a good idea to use a microfiber towel to prevent streaks and scratches as well. If you are in need of simple crack or chip repairs, or if you are in need of a full replacement of your car glass, our professional team is here to help. We have a range of mobile and on-site services to get you out of the cold and back on the road. 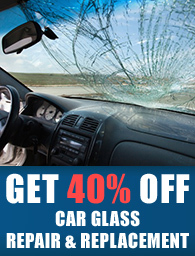 Give Fast Car Glass a call at 7707550375 to see how we can help.